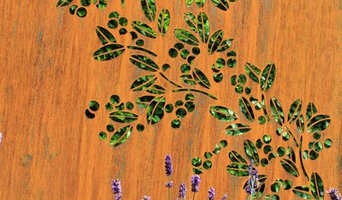 We are British designers and suppliers of laser-cut fence panels and ancillary products, for use in outdoor spaces ranging from commercial, hospitality, leisure, educational and public realm through to domestic gardens. Our products are not just pretty, they're tough as well. We produce our panels in a choice of either powder-coated aluminium or corten steel, while the fence posts are made of super-strong powder coated aluminium rectangular box section (which won't rot). Our materials are recyclable, maintenance-free and offer a superior lifespan in comparison to either wooden products or powder coated mild steel. We are a company based in Amersham, Buckinghamshire, specialising in the design, supply and installation of bespoke automated vehicular access gates. 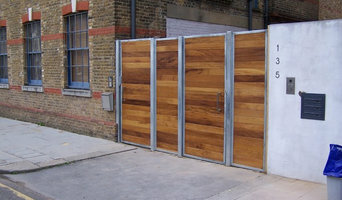 We can make our access gates out of a plethora of materials, in a design tailored to suit the style of your property. As a Gate Safe Premier Installer, we pride ourselves on the level of service we offer, ensuring that your automated gates will stand the test of time. We also offer services and repairs, to make sure your gates are complaint with the latest safety legislation. Steel Makers was established in 2001 after many years of operating as a sole trader. We specialise in manufacturing, supplying and installing high quality Gates (both manual and electronic with remote control system), Staircases, Balustrades, Railings, Fencing and Balconies with railings and also all types of architectural metal work. With many years of experience, we operate from our manufacturing site and workshop in South and West London. We have built an enviable and strong reputation for quality, reliability and economical prices. Over the years we have undertaken small, medium and large projects. Our team of highly-skilled craftsman has the ability to provide cost-effective solution. We have secured a prestigious place and earned a high degree of respect in a competitive and demanding market and have undertaken projects on high prestige developments. The Friendliest, Easiest & Most Modern way to buy and install a Fence, Shed, Decking or Gate At Challenge Fencing we’re here to help with all of your garden timber projects. We are a local business in Surrey & Kent under the same ownership since 1987. We only offer superior quality garden products, so whether you’re planning a new fence or deck, updating your garden furniture or need a new premium quality shed, our huge stock means we’ve always got exactly what you are looking for, making that garden project a little easier. We specialize in superior quality vinyl fencing for all your domestic and commercial needs. Manor Fencing and landscaping is a professional landscaping and fencing company based in Bromley, that specialises in all types of fencing, landscaping and paving. We have over 25 years’ experience in the fencing, landscaping and paving industry where we have built all of our reputation purely on reliability, service & high quality of workmanship at affordable prices. With the excellent reputation we have, we ensure we only employ the most professional and best gardeners and landscapers. This should give you the peace of mind that when we visit your property, you will always receive the very best & professional service you could receive! Wentworth Gates is one of the leading gate solution companies in the South East covering Surrey, Berkshire, Hampshire and Buckinghamshire. We have been responsible for the installation of many beautiful & impressive entrances in the region. Wentworth Gates install, repair and maintain a vast array of gate systems in both Timber & Wrought Iron. These range from Five Bar Timber Gates and Electric Sliding Gates through to Swing Gate Systems. All of which are suitable for use on Residential Houses and Multi-user Residential Entrances and also many Commercial Properties have benefited from our Security Gates Installations. We operate a Fleet of fully equipped sign written vehicles with a team of experienced engineers. Our engineers are fully trained in all brands of gate automation including Beninca, CAME, FAAC, Bpt and many more. Wentworth Gates offer advice accordingly on design and all of our gates are bespoke and fabricated to your requirements to compliment your house. Kings Landscapes, located in Dorking, has a complete range of fencing services available for clients in Greater London, Surrey, West Sussex and the South East. We have an experienced team of fencing contractors that specialises in all aspects of fencing construction – including handrails for your disabled access requirements. We're fully committed to the delivery of practical fencing installations, all of which offer containment, privacy and protection. Covering the domestic and commercial sectors, our supply and installation services include the erection of fencing posts, in concrete or timber, and gates. More than 90% of our work is for the commercial sector so our company is adept at security fencing installations. Local areas covered by our team include Crawley, Epsom, Horsham, Leatherhead and Reigate. Our fencing contractors erect panel and security fencing for homes, businesses, property managers, schools, NHS properties, local authorities and agricultural properties at many locations in the South East area. Close-board fencing is a popular choice with domestic customers and with the many commercial clients who make up the bulk of our business. More than 90% of our work comes from the commercial sector. We are also one of the very few landscaping companies in the Dorking, Greater London, Surrey and West Sussex areas to supply and lay artificial grass, either on a domestic or a commercial basis. RF Ireland have been established in Surrey and the home counties for over 40 years providing ultimate quality in fencing and landscaping projects. Working for private home owners and property developers, our standards speak for themselves, which is why 90% of our work comes from past and existing customer recommendations. Our clients are looking for that extra something in advice, quality and most importantly service. We offer a professional fencing service with many years of experience, offering affordable prices for both materials and labour throughout all London, Kent and Essex areas. We firmly believe in providing a top quality service and we take pride and passion in our work. The job is not finished until the customer is truly satisfied. We have all the equipment that is needed to stay out of the customers house or to work on commercial land with limited resources. We aim to offer all of our customers a genuinely personal service from start to finish. We let you decide on the type of fence you would like, how and where you want it and of course we will offer our experience and opinions on your choice and will help you every step of the way, after all a fence is something you only want to put up once. Established garden services for domestic and commercial premises Mattie's Gardening Services specialises in all types of garden/grounds maintenance from weeding and tidying to fencing and decking. If you want help to completely transform your garden/grounds to high standards, then look no further than Mattie's Gardening Services as we've all the help and advice you'll need. Whatever gardening service you require, rest assured that we'll leave you with exceptionally professional results you'll love, tailored to your exact requirements. So, for all your gardening needs why not contact us today? What benefits can Mattie's Gardening offer you? Expert knowledge, so we can answer all of your questions. Specialists in all garden services, so we'll be able to do any gardening you require. Professional service at all time to ensure excellent results. Tailored to your exact needs, so, so you can save your money. Free quotes and advice so you can save your money. Fencing and gate installation Family run business that has been established in Ascot Berkshire for over 25years. KP Engineering Works Ltd is a manufacturer and installer of quality steel fabrications such as Grilles, Gates, Metal Railings, Staircases, Handrails, Juliet Railings, Balconies & Balustrades. We serve customers across three primary markets: residential, trade, and the construction industry. We take pride in manufacturing, supplying and installing quality steel fabrications all over the UK. Using quality materials to produce a quality product, our ethos is and always has been to offer only the best. 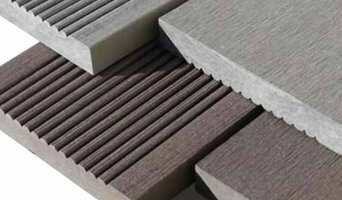 Our company can supply products for personal and commercial projects. If you have specific requirements for tailor-made railings, wrought iron railings, wrought iron fences, metal railings, metal fencing, garden railings, gates, balustrades, bi-fold gates, barriers, hurdles, palings, balconies, etc Our Products Include as follows: Wall Top Railings Roof Terrace Railings Juliet Railings Wrought Iron Railings Wrought Iron Fences Balustrades Double Leaf Tall and Small Gates Single Leaf Tall and Small Gates Wall Handrails London Style Railings Bi-Fold Tall and Short Gates External and Internal Security Grilles Metal Fencing Sliding Gates Tall and Short Gate Automation We provide bespoke made to measure products. Call us or send an email for any query. Broadside Fencing provides bespoke fencing services for both residential and commercial clients based in and around Surrey. You can rely on us for professionally executed, solidly built and aesthetically pleasing boundaries. We pride ourselves on providing an exceptional service and delivering strong, durable products to suit our clients’ individual needs. We are a local firm based in Wimbledon, with over 20 years of experience serving the local community as both a general builder and a landscaping specialist. The same applies to gates, which are even harder to build and install yourself, unless you are a practised carpenter, craftsman or builder. So if you want one-of-a-kind fence and gate designs that can be fitted by professionals, or perhaps just fence repair, then you should take a look at the Ealing, Greater London gate manufacturers and fencing contractors listed on Houzz. With Houzz you can browse through gate manufacturers and fencing contractors in Ealing, Greater London to find a professional to work on your project. Check reviews, recommendations, ratings and photos of their previous work to decide if you want to contact them about your fence or gate. Gate and fencing contractors in Ealing, Greater London will be able to advise you on the best materials to use and how to look after your fencing. Aside from designing, building and installing your fence or gate, a specialist may also offer fencing supplies, materials and fence repair services which will help you maintain your bespoke fencing and gate designs. 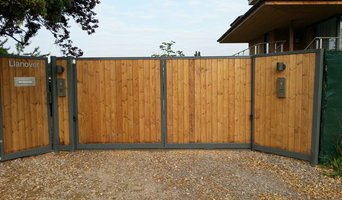 Whether you are looking to build a traditional wood panel fence, commission an elaborate wrought iron gate, want a quaint white picket fence or a large, electric gate to shield your home from public view, you’ll be able to find Ealing, Greater London gate or fencing contractors on Houzz that have the specialist expertise to carry out the job. You may find that gate and fencing contractors also work closely with lawn and landscape professionals. Here are some related professionals and vendors to complement the work of fencing & gates: Wrought Iron Workers, Decks, Patios, Sheds & Summerhouses, Cladding & Exterior Contractors, Landscape Contractors, Landscape Architects & Garden Designers. If you already have some garden fencing ideas or even gate designs, then discuss these with your potential fencing contractors to see if they can become a reality. You may find they have to be tweaked slightly, perhaps due to budget, space or Ealing planning restrictions, but good fencing contractors will be able to come up with a compromise to meet every need or constraint. Find gate and fencing contractors on Houzz. 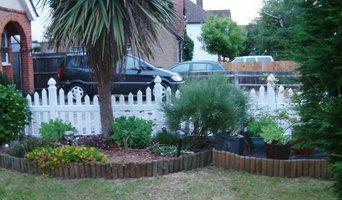 Narrow your search in the Professionals section of the website to Ealing, Greater London gate and fencing contractors. You can also look through Ealing, Greater London photos to find examples of fencing and gates that you like, then contact the contractor who worked on them.